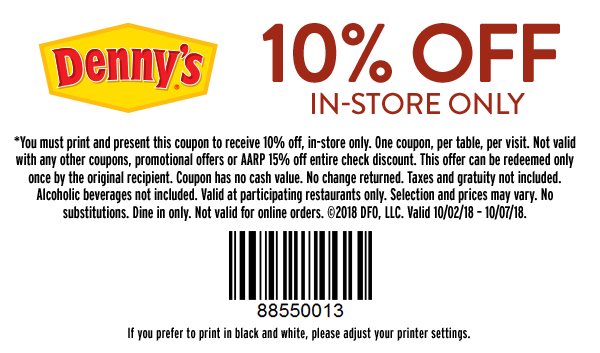 Dennys printable coupon Receive 10% Off in store only. One coupon per check, per visit. Not valid with other coupons or offers. Please read fine print for details on use. Valid at participating locations. Expires 10/07/18.